A workshop for students focusing on a history of the Islamic conquest and rule of Armenia by the 8th-century Armenian priest Łewond. Seating is limited. Registration is required. A short group of pre-assigned readings will be circulated at least one week prior to the workshop. Participants are expected to complete the readings before the workshop. A lecture discussing the patronage of New Julfa’s Armenian merchant community. 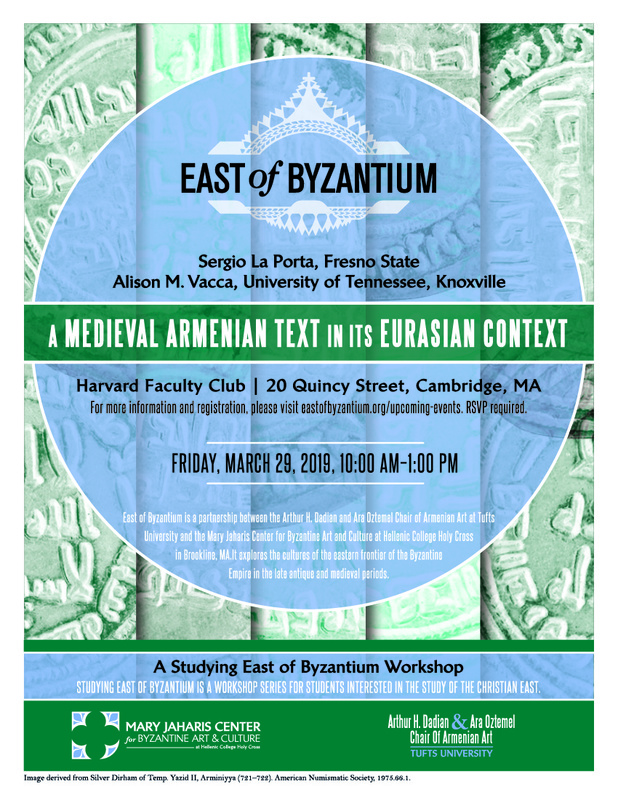 A workshop for students exploring how Armenian artists, theologians, merchants, among others, thought about images and image-making in early modern Iran. Seating is limited. Registration is required. A short group of pre-assigned readings will be circulated at least one week prior to the workshop. Participants are expected to complete the readings before the workshop.